Mark is a brilliant instructor and is a Grade A instructor (the highest grade of instructor)! He has a friendly and relaxed approach while keeping lessons totally focused so you will learn lots and lots on each lesson with Mark! Three words to describe me: Punctual, patient and fun! Ideal night out: Pub, pool, darts and curry! 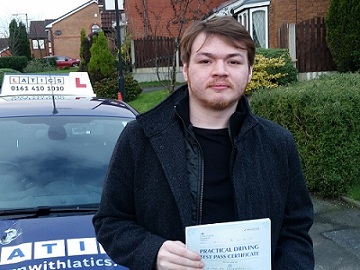 Mark gives driving lessons in Chadderton, Derker, Glodwick, Greenacres, Heyside, Milnrow, Moorside, Oldham, Rochdale, Royton, Shaw, Shawside, Sholver, Springhead, Waterhead, Watersheddings and Newhey. “I would like to nominate 2 instructors as one of them left and started a new job, I then went to another instructor. “Mark Dronsfield was brilliant, so calm and patient with me, he pushed me without being pushy. He also let me do a lesson in my PJs (it was an evening lesson so it’s forgivable) 😀 I’ve always been nervous in cars, even as a passenger so I needed someone who was calming and Latics provided that. Just 2 faults & 1st time! 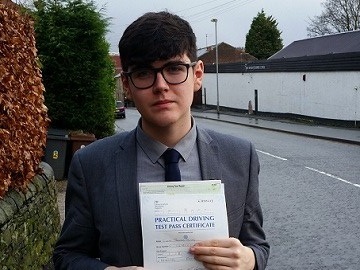 Brilliant 1st time pass Adam! 1st time with just 2 faults! 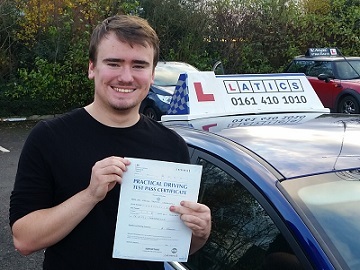 Brilliant 1st time pass Daniel! 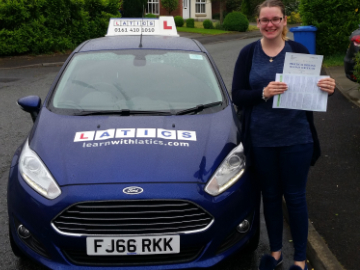 Great 1st time pass Lauren! 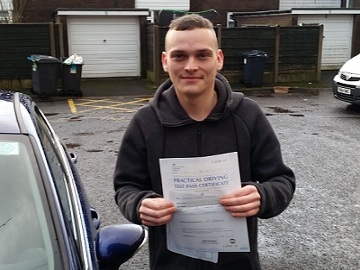 Fantastic Andy 1st time pass! 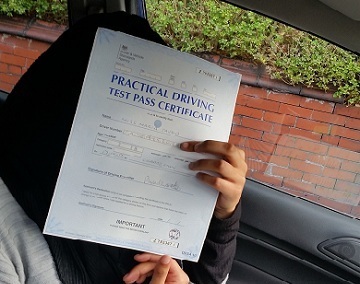 Fab 1st time pass ZERO faults! PASS in a week 1st Attempt!